NEW DELHI, APRIL 17: Adani Foundation reached out to more than 3 lakh students and youth through Project Udaan recently. Udaan is one of its kind initiative of Adani Foundation, which aims to inspire students and youth to dream big. Under this project, students are given a chance to visit the Adani Port, Adani Power and Adani Wilmar facilities to get an insight into the large-scale business activities being carried out. The Udaan project is geared towards motivating the students of the country and encouraging them to achieve greatness as well as inculcating an entrepreneurial spirit in their lives. Students are provided with transportation, boarding, lodging and food. At every Adani Group business establishment, they receive knowledge about the operations of the business. The project covers students and youth in 5 states across the country and has reached out to 3,00,063 students and youth through 4143 exposure trips. 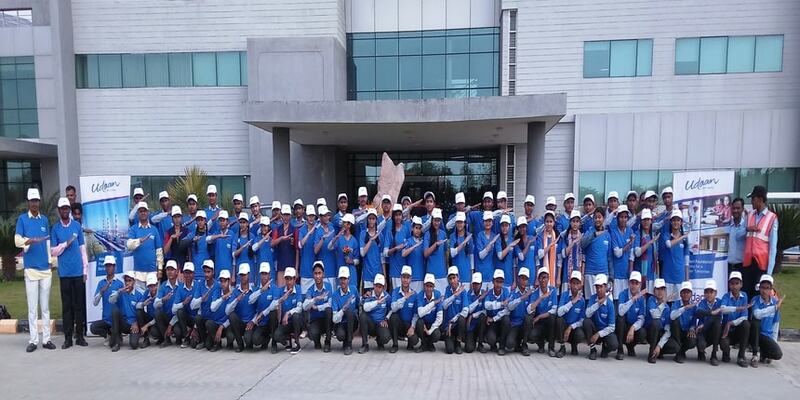 Under this project, an exposure tour is organised wherein students are given a chance to visit the Adani Port, Adani Power and Adani Wilmar facilities to get an insight about the large-scale business activities being carried out. When young minds are given exposure, it helps them to understand their own potential and get motivated to work towards the same. Udaan is inspired by the life-changing story of Gautam Adani, Chairman, Adani Group. As a child, Adani had visited the Kandla Port in Gujarat, and when he saw the expanse of the Port, he dreamt of having a Port of his own one day.